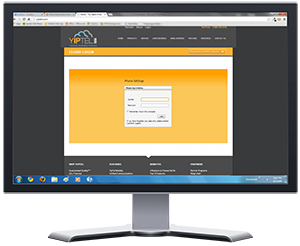 YipTel allows you the flexibility and control to manage your business from any web browser. Administrative users are granted the rights to make modifications to User Names, Automated Attendants, Call Routing, Call Flows, Hunt groups, ACD groups, Music on Hold, personal settings of general users and more. Multiple administrative users and be defined with a hierarchy of access to various administrative functions. No more waiting for simple administrative changes and modifications. YipTel allows you to make these changes any time you choose and delivers simple and reliable communications.